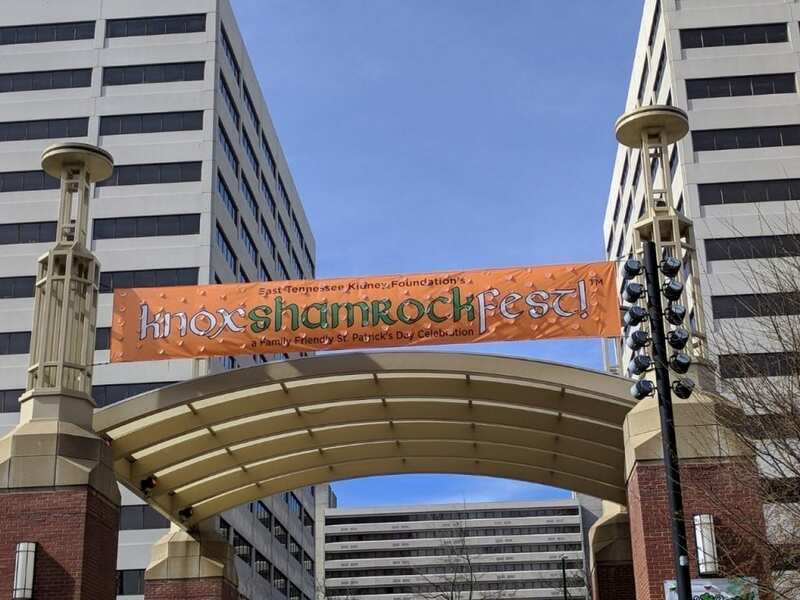 The East Tennessee Kidney Foundation held their annual Shamrock Festival on March 15-16. The organization held the festival in Market Square and Krutch Park. The Knoxville Irish Society assisted with supplying activities for families and children. These included the following: Bounce houses, face painting, arts and crafts and live music. Food truck vendors set up across the street from the festival. Krutch Park became the ‘Krutch Park Guinness Pub.’ This featured more entertainment for adults such as food, live music and beer. The East Tennessee Kidney Foundation is an organization that fights for patients suffering from kidney disease. Furthermore, the Shamrock Festival is one of many ways the organization raises money for the people suffering. They organize events such runs, parades and festivals. This organization also collaborates with Tennessee Donor Services. Tennessee Donor Services encourages people to donate organs for people in need. The kidney is a special organ. There are two kidneys in the human body, and a person can live with just one of them. In 2014, there were 5,537 living kidney donors for patients. Organizations such as East Tennessee Kidney Foundation and Tennessee Donor Services work to aid patients in costs and create an awareness to the population. All the proceeds from the Shamrock Festival go towards assisting families with transportation for medical treatments. The Knoxville Irish Society set up their own booth. They prompted interest in new members and provided t-shirts for participants. “We’re all about promoting Irish culture, including the language and the Irish dance,” Josh McCaul, Educational Officer for the Society, said. Additionally, KIS President Christian King is also interested in starting a chapter at UT. King encourages all interested students to email him at chris@knoxvilleirish.com.